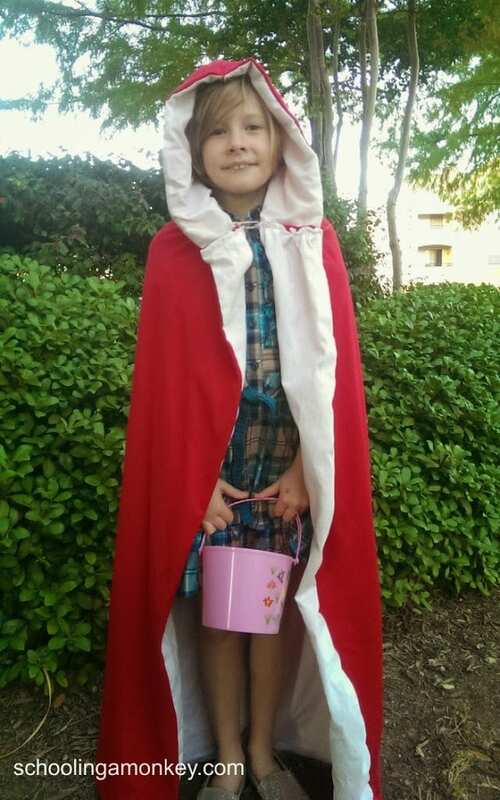 This year, Monkey came up with the idea of being Little Red Riding Hood for our costume party this year. 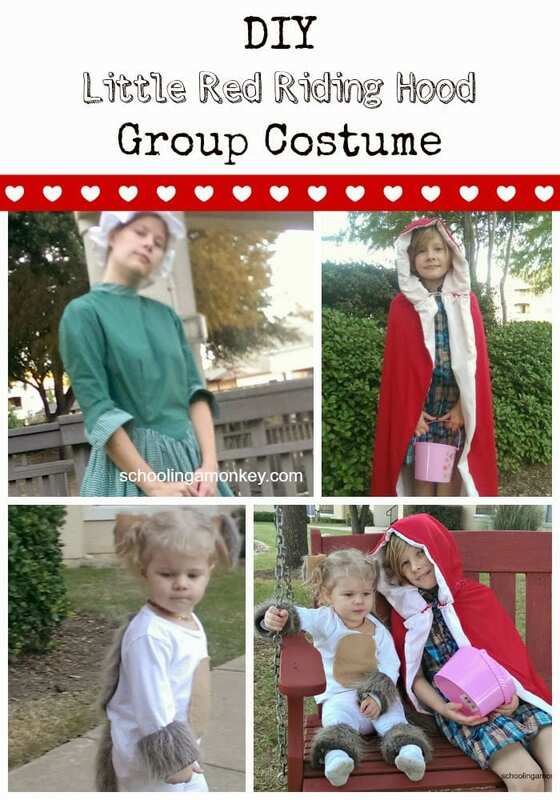 I was game, because it makes a great group costume, plus it’s based on a book, which makes me happy. This is how we made our costumes (and apologies on the strangely blurry photos- I don’t know what was going on with my camera that day). 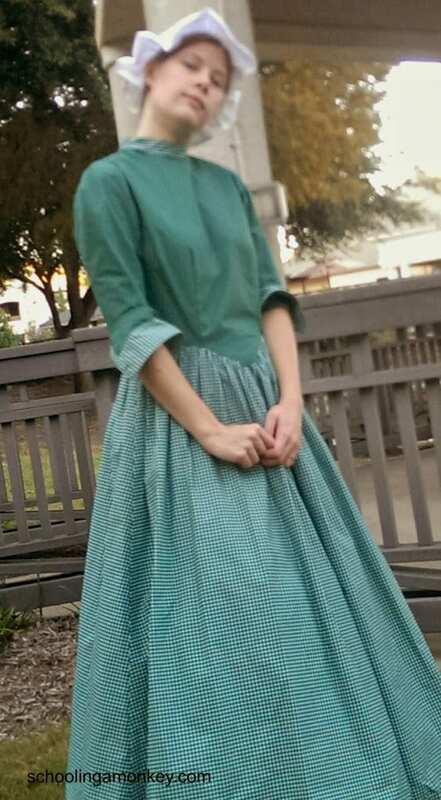 I had an old costume that my parents bought for me to attend a Civil War dance when I was in Junior high. It still doesn’t fit right- too big in the bust and too small in the arms and neck. I wonder what kind of pattern was used for the tutorial for it to fit so strangely? But never mind, it was perfect for a grandmother costume. I made a mob cap using this tutorial, and I was done! I used the base from Bo’s poodle costume. I switched out the poodle tail and poodle fur for a wolf pelt we found at the fabric shop. 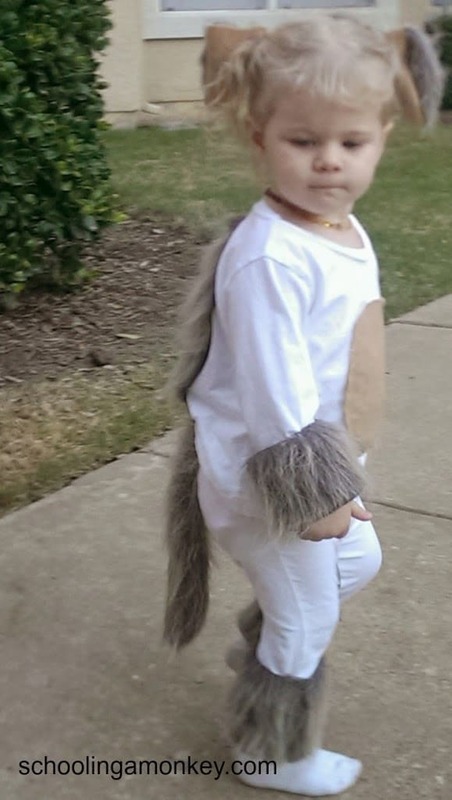 I also added a patch of fur to the back of the costume and made ears using felt and the wolf fur, which we attached to her hair with hair ties. I had Monkey wear one of her everyday dresses as the base. I made the hood using this tutorial. It ended up being huge on her- I’m not sure why because I followed the instructions and they were meant for a toddler. I also decided to go ahead and line the entire inside of the cloak in white fabric. It made sewing the hood on a little tricky, but I liked how finished it looked when I was done. The girls can wear this hood now for a long time and keep it in their dress-up box. We gave Monkey a little bucket to carry and her costume was done. I loved how simple these costumes were to make and how cute we looked together! 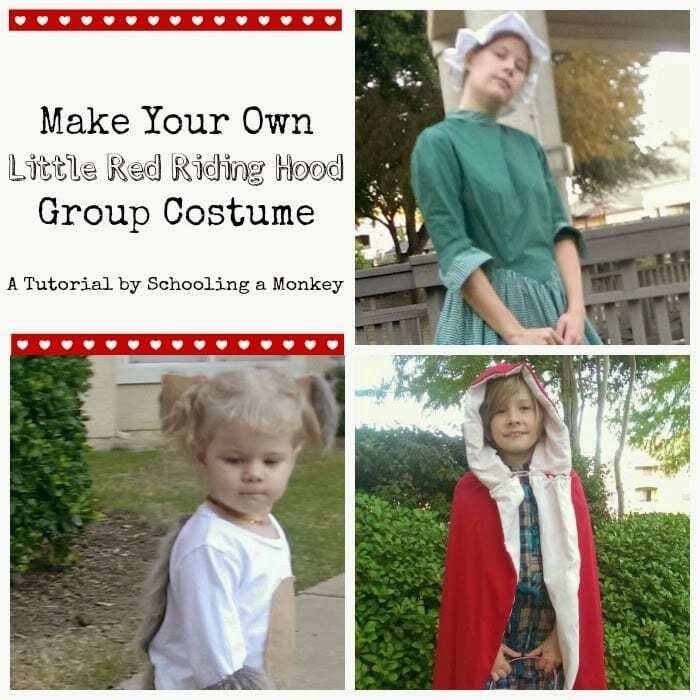 Share pictures of your costumes with us on the Schooling a Monkey Facebook page!